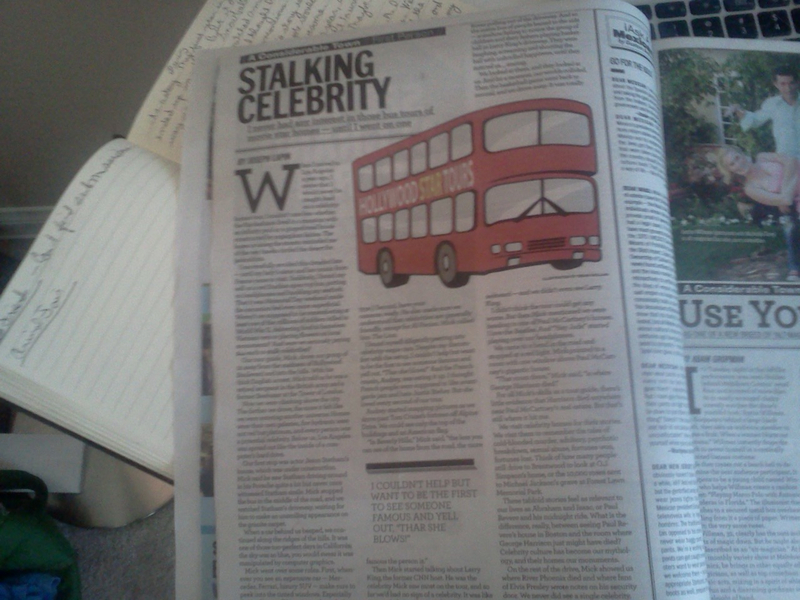 On Thursday, I was excited to find my piece, “I Had Zero Interest in Celebrity Homes…Until I went on One,” in the LA Weekly. It’s the story of a celebrity homes tour in Beverly Hills, California, and our search for the famous. My lady convinced me to go — there’s was no way I could get out of it! — when her sister and her cousin from France came to visit. At first, I was uncomfortable and philosophically resistant to the experience, but after Mick, our tour guide from England, started taking us around the Hills and showing us celebrity homes, I discovered the real reason these tours are important to Los Angeles. So click the link below to find out.